LutherCare Communities is excited to announce that we will be launching the first chapter in Saskatchewan of the Cycling Without Age program. 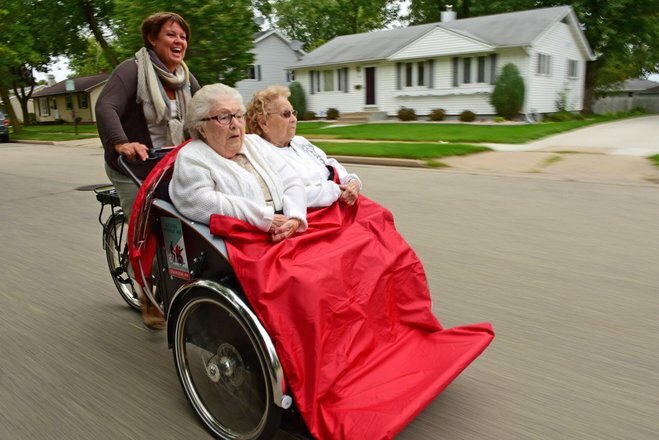 Through generation donations to the LutherCare Foundation and the Kinsmen Foundation of Saskatchewan, we have purchased two trishaw, power-assisted bicycles from Denmark. With the assistance of volunteer ‘Pilots’, these speciality bicycles will provide our residents with the opportunity to participate in recreational bicycle rides that will have many remarkable benefits. To find out more on this exciting initiative, we invite you to visit www.cyclingwithoutage.org. If you are interested in volunteering for this program, contact mritchie@luthercare.com.